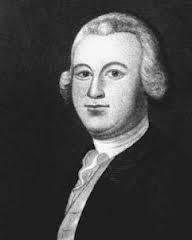 James Otis (1725-1783) was a Massachusetts lawyer and politician, best known for coining the slogan “taxation without representation is tyranny”. Born in Cape Cod, Otis was the son of a prominent lawyer and the brother of Mercy Otis Warren, a future chronicler of the revolution. He was educated at Harvard, graduating in 1743 and commencing a law practice in Boston. In 1760 Otis became a royal official, representing the crown in Boston’s Vice Admiralty Court. Within a few months he ‘changed sides’ to represent colonial merchants against the hated writs of assistance (search warrants). During these cases Otis delivered long but eloquent courtroom speeches, challenging the legality of the writs of assistance and describing them as the “worst instrument of arbitrary power”. In the mid-1760s Otis penned several tracts that asserted the rights of the American colonists to oppose taxation and intrusive measures decided in London. This made Otis one of the earliest of the revolutionaries (one historian has dubbed him a “pre-revolutionist”) – but Otis was less radical than later figures, urging reform and purification of the status quo rather than American independence. 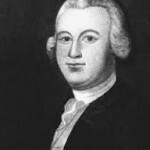 Otis also sat as a member of the Massachusetts legislature, was involved with the Sons of Liberty and served as a delegate to the Stamp Act Congress. In 1769 Otis was assaulted by a customs official and struck on the head. The blow brought on bouts of mental illness verging on insanity, forcing Otis to withdraw from public and political life. He did not play a role in the Revolution but lived long enough to see an American victory. Otis died in 1783 after being struck by lightning while standing in a doorway.